Last year it was Poussin in the National Gallery, this year Rothko at the Tate. 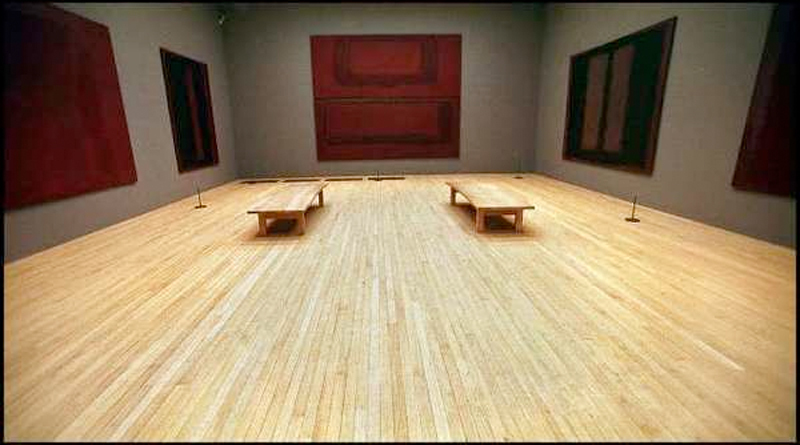 There will have been other examples of vandalism in between these which galleries hushed up, and it is likely that you wouldn’t have known about the Rothko episode had it not been witnessed and photographed. Museums don’t like admitting to attacks on their collections because they wouldn’t want to suggest it’s easy to get away with… The truth is that vandalism is undoubtedly more prevalent than is admitted. Outrage is the knee-jerk reaction on such occasions, but by now we should expect damage. Every work of art in every museum is a sitting duck to unintended injury as well as to deliberate vandalism. This is because museum visitors, and especially children, are ignorant and ill-mannered. They get too close and prefer to look with their fingers. Sculpture is especially at risk. Simply by putting art on show so it can be seen properly ensures its vulnerability. Vandalism, and the ease with which it can be perpetrated, are risks that have to be taken despite the potential for disaster. The perpetrator of the Rothko graffiti is wearyingly typical of the Identikit gallery vandal. He is a white, male, disgruntled, barely sane ‘artist’ of no discernible ability. His website, Yellowism, is in the grand tradition of Modernist art manifestos, it being a ragbag of pompous, semi-literate gibberish. He is also without the true courage of his proclaimed anarchic convictions. 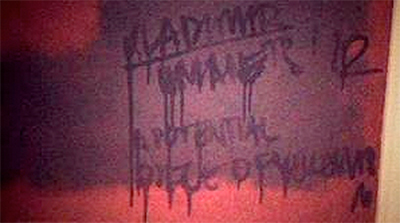 Scribbling half-heartedly in the bottom corner of a painting for no good reason other than ephemeral self-advertisement is a feeble stunt. Whatever happened to the grand statement born of blind belief? When suffragette Mary Richardson savagely attacked Velasquez’s Rokeby Venus in the National Gallery with a kitchen knife in 1914 she was perhaps misguided in her choice of target but my word there’s no doubting her vehement commitment to the cause. In comparison to Richardson, this Rothko attacker is a pathetic wimp. They should film him being given a good thrashing outside Tate Modern, call it a ‘Conceptual Video’ and enter it for the Turner Prize. With the arsenal of chemicals and sci-fi gadgetry at a modern restorer’s disposal, the painting will be back on display within weeks and exhibit no evidence of its recent tribulations. And alarmist headlines about the financial value of the picture being affected are just crass populism. The Rothko will never be sold, therefore it can have no financial value. If anything the picture’s artistic stock will have risen, given the notoriety it has now achieved and the fatuous incentives some people require to visit museums. More perplexing is the accelerating frequency with which damage to important works is occurring. With museums having annual grants from central and local government frozen or reduced, security may not be what it should be. The idiot responsible for damaging the Rothko was able to do his worst and then calmly walk out of the Tate unhindered. This suggests laxity. When the Poussin was damaged last summer in the National Gallery, wardens had only weeks before been instructed to oversee two galleries instead of one. At the time it was suggested the damage would not have happened had the gallery been fully patrolled as before. Maintaining proper surveillance despite cutbacks will not eliminate vandalism, but it might impede its worryingly increased incidence. It would appear that enhanced searches at the entrance of national museums, like the airport security imposed already in some continental galleries, is inevitable here also. It may help, but sadly nothing will stop determined unhinged artists from getting through.